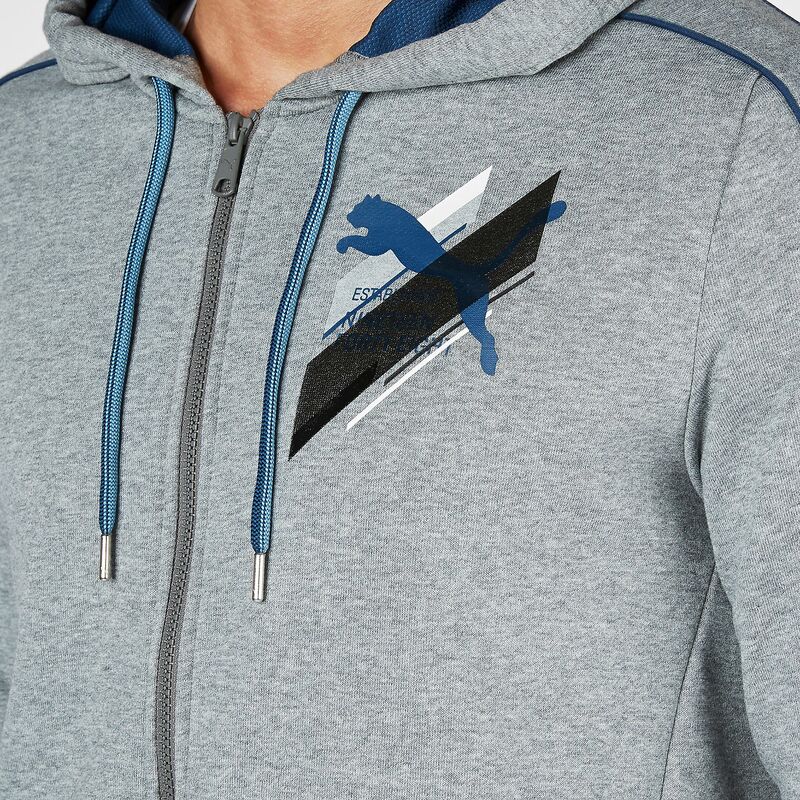 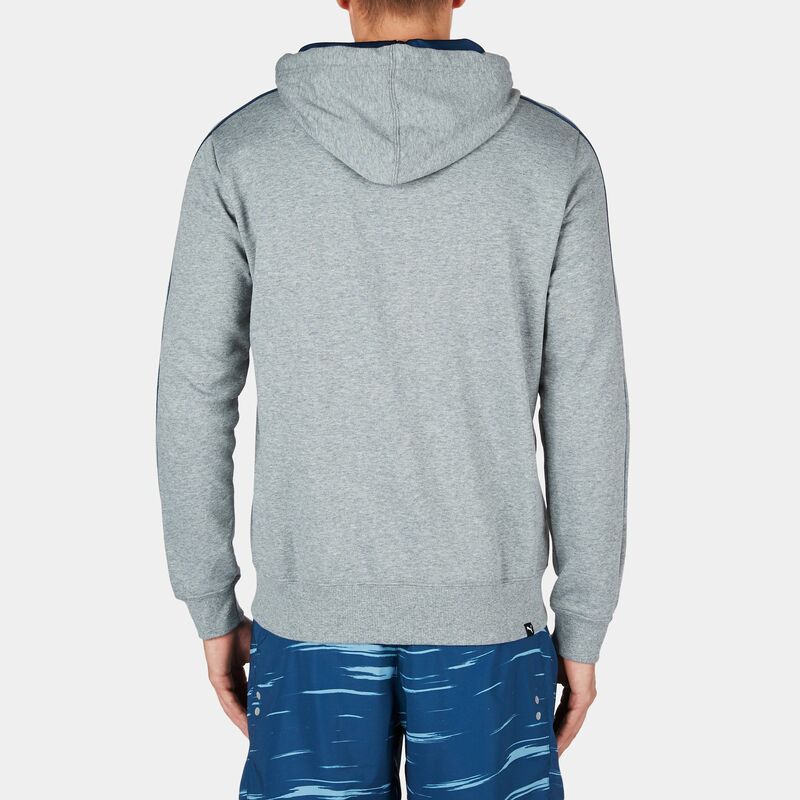 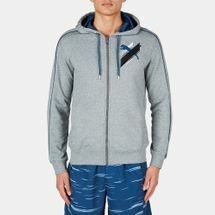 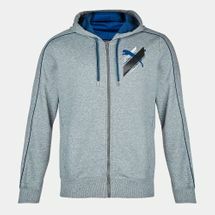 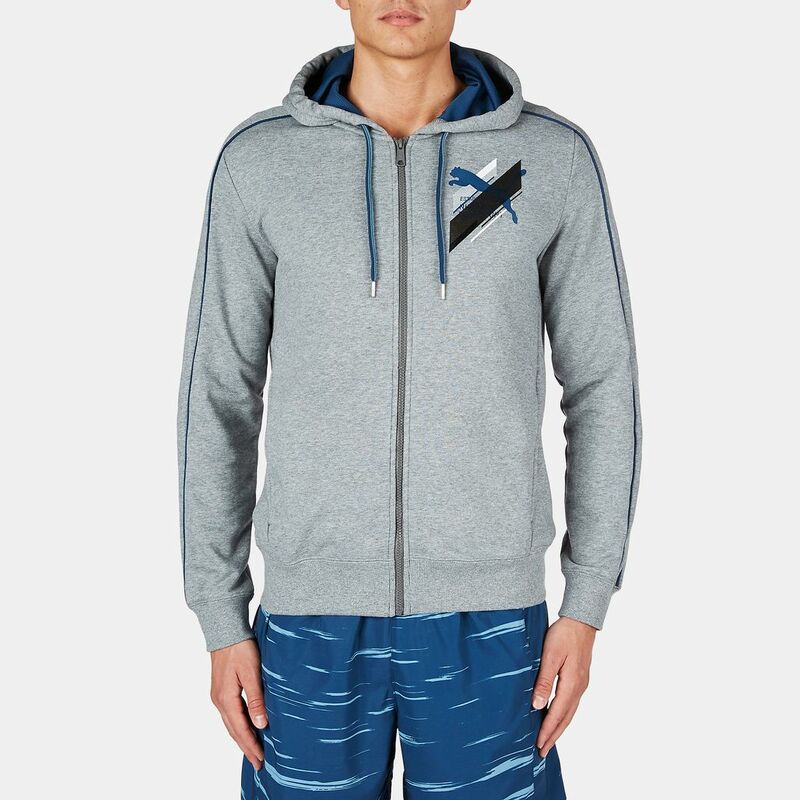 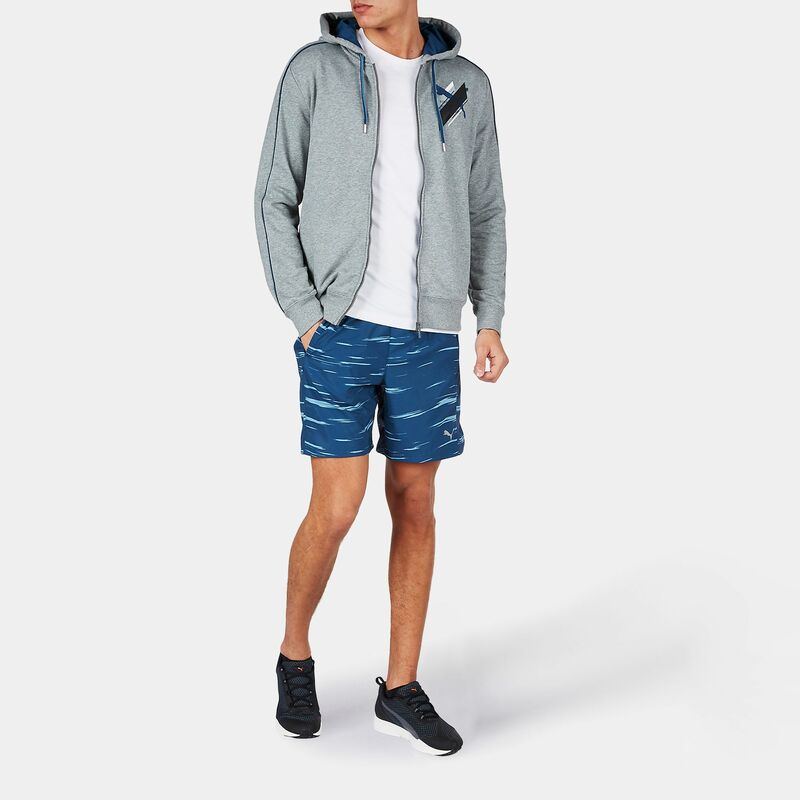 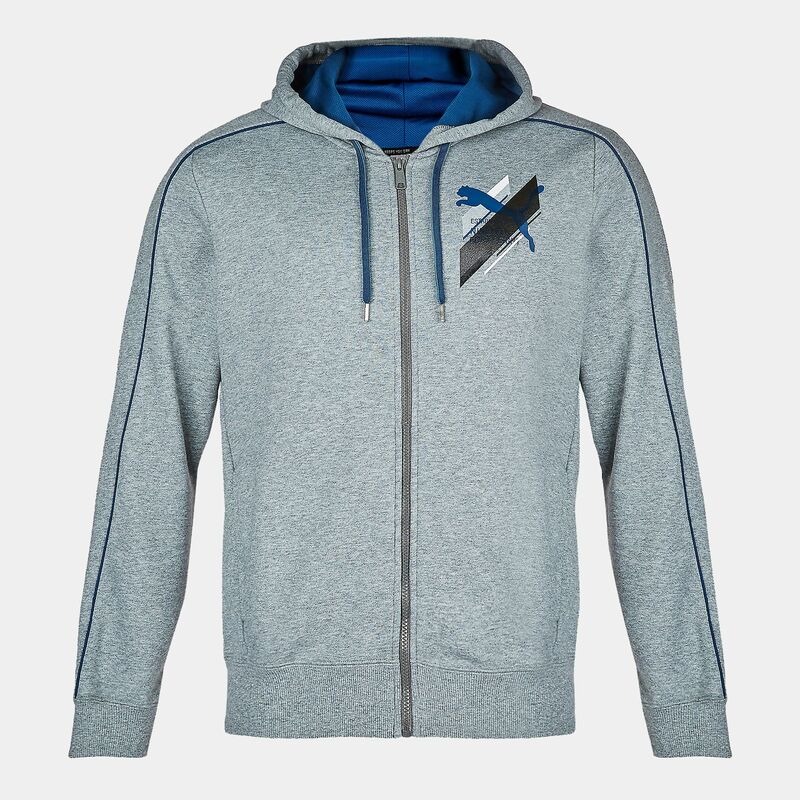 Stay warm during workouts in this Fun Graphic Sweat Jacket for men by PUMA. Featuring a graphic semi-transparent glossy print, this jacket has a ribbed waistband and sleeve cuffs for a solid structure. 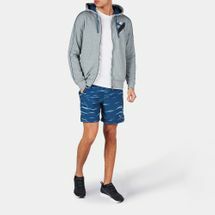 The side pockets for convenient storage complete the look.